These are the questions and answers that will help you spot the right carpet maintenance solution for your rugs. Are you having a hard time cleaning carpet and sofa stains and do you have plenty of questions about the best ways to go about it? Find out the best carpet cleaning solutions by reading the answers to several of your questions here. Below are answers to plenty frequently asked questions about stain removal and rug cleaning. Learn how to maintain rugs and complete carpet cleaning quickly. Read the answers to your own questions. What is the best technique for carpet odor removal? It is highly suggested by experts in Sierra Madre to use baking soda. Sprinkle some of it on the carpet so that it will absorb the odor. You can vacuum the carpet later on. Another option is to use carpet deodorants, and not regular perfumes. What should be done before using a new cleaning agent? It is highly suggested to test the cleaning agent in some portions of the carpet first before doing full application. If the cleaning agent is not effective, at least it will not affect the entire carpet. When is it a good time to have my old carpet replaced? 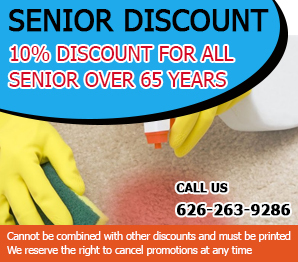 Carpet Cleaning Sierra Madre experts can tell you that one of the most obvious signs of a carpet requiring replacement is if even the act of cleaning it rips the fabric somehow. It is still however up to you to decide when you would like to have your carpet replaced. How long does carpet cleaning usually take? 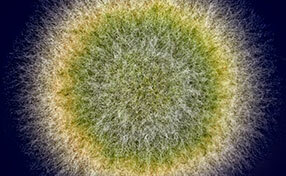 Depending on the commercial carpet cleaning method used, it can range from a few hours to a day. 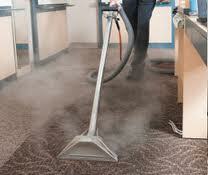 Wet type methods need to take drying time into consideration while dry carpet cleaning is much faster. Carpet Cleaning Sierra Madre has specialists that can shed light on these and some other factors that can contribute to work length. It will make a difference how soon you treat the stain. If you leave it to dry completely, it will be more difficult to remove it. Carpet stains are removed more effectively when they're fresh and treated on the spot. Even then some stains are more stubborn than others. Oils, blood, grass, coffee, chocolate and red wine are not removed easily. So, it's best to be prepared and find out the right stain removal steps so that you'll have the proper products available at home at all times. Does a household detergent work for removing pet stains? It can help you get rid of the color and possibly of the smell if you act immediately after your pet has done its business. However, it is not particularly effective for battling the compounds in the urine that can damage the carpet’s fibers and dye. In addition, you might not get rid of the unpleasant odor completely.